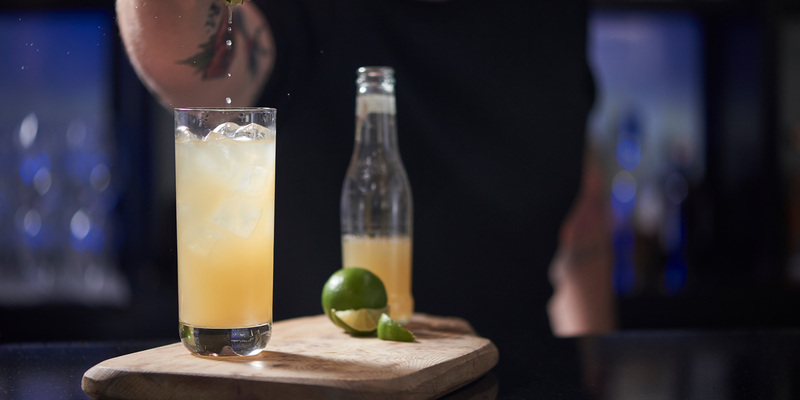 Sweet, long and refreshing, Finest & Lemonade sounds like the perfect weekend in a glass and tastes like Saturday night just started. 1. 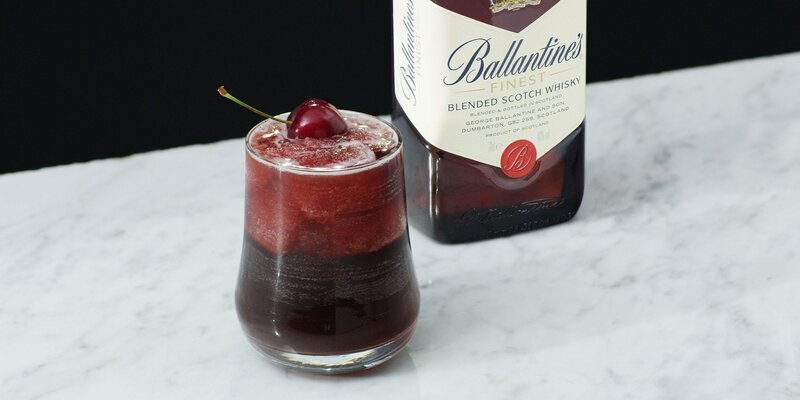 Fill a highball glass with ice and pour in a shot of Ballantine’s. 2. Top up with lemonade and stir. 3. 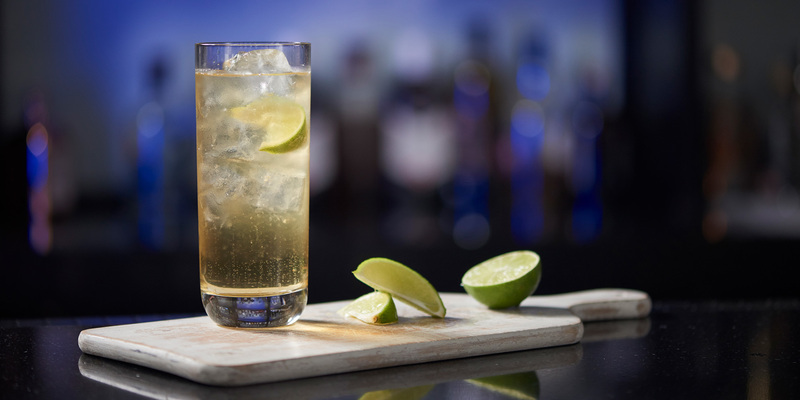 Squeeze in a large wedge of lime and drop it into the glass to serve. Simple. 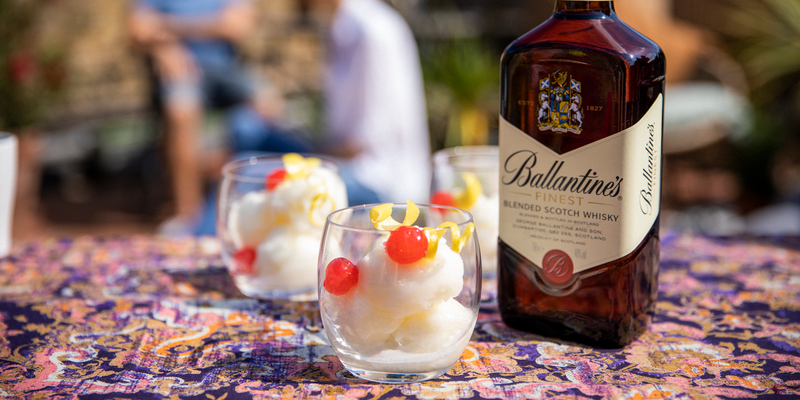 Slightly sweet with a touch of vanilla Perfect for mixing to start the night The first ever Ballantine’s recipe Start the night with a Whisky that's stayed true to it's original recipe since 1910. Two’s company and three’s a crowd pleaser. 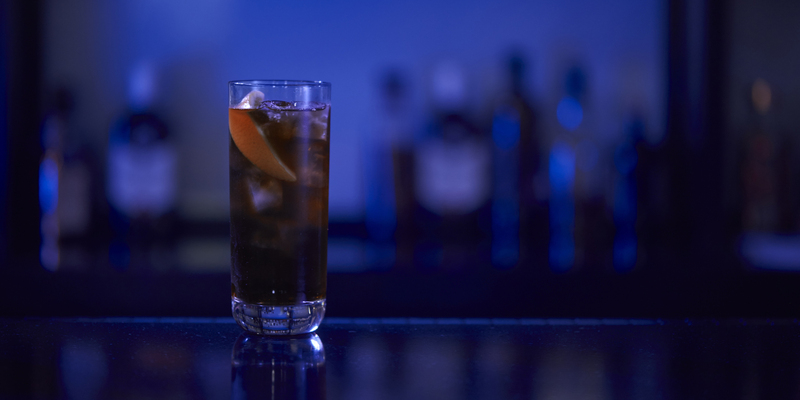 Mix up this three ingredient classic to kick off a night with friends. Move over Fred Astaire, there’s a suave new partner for Ginger in town. 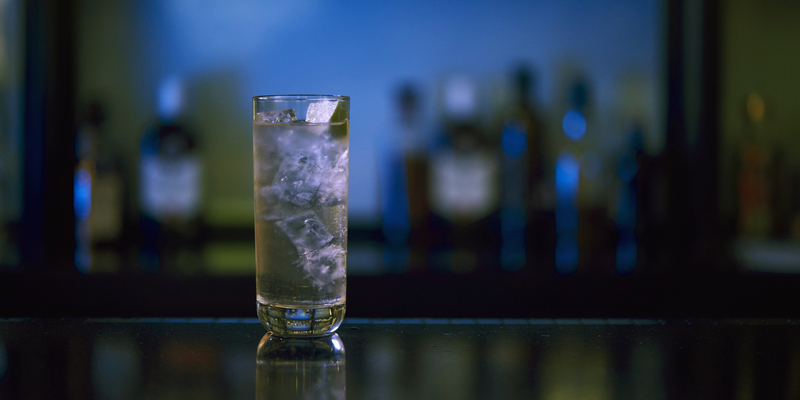 Spicy and refreshing, Finest & Ginger is the perfect long drink to enjoy with friends. 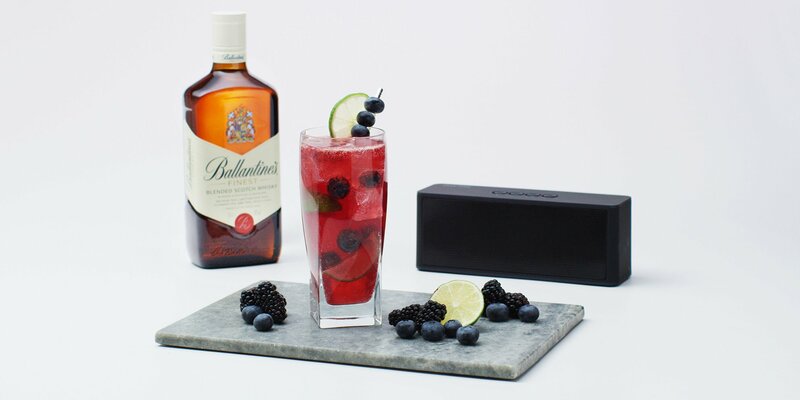 The king of classics, it doesn’t get better or simpler, than a Ballantine’s Scotch & Soda. Got juice? Got Ginger Ale? Got Finest? Good. 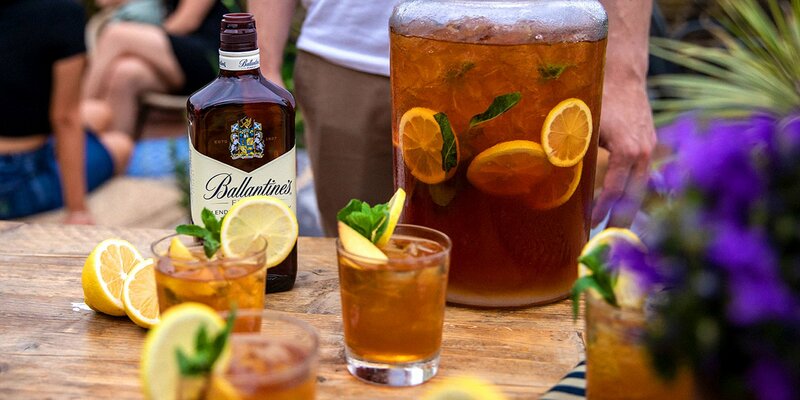 All together you have a spicy, sweet refresher perfect for an afternoon mixer. 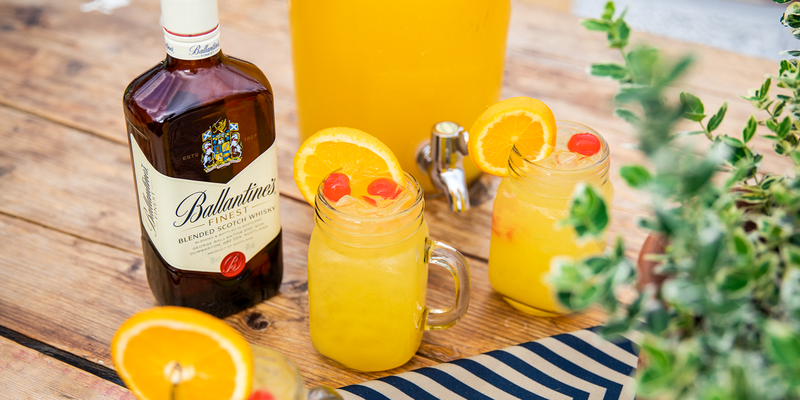 Enjoy this exotic twist on a classic with added citrus tang. 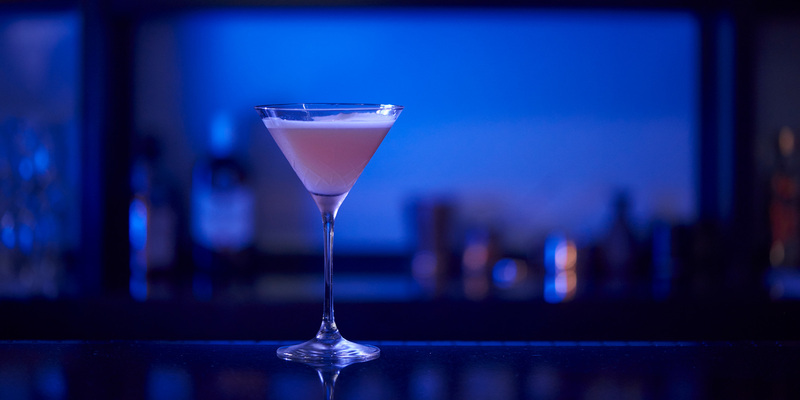 But don’t let the posh glass fool you, this sophisticated cocktail is a simple pour, shake and strain away from good times. 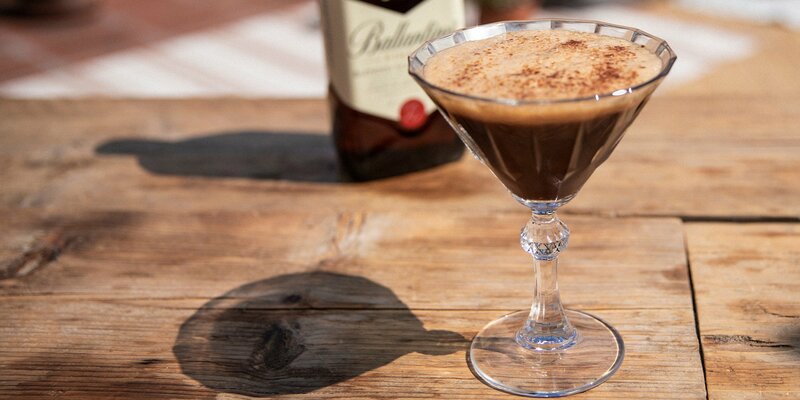 If you can’t decide whether you want a coffee, a whisky or dessert, drink this! 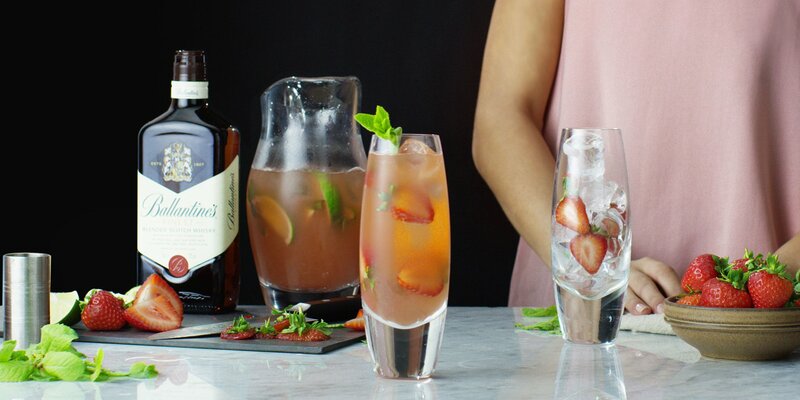 This easy to mix fruity, sour, bubbly cocktail punch will be your new go-to serve at any party. No need for an ice cream maker with this delicious frozen treat. And that’s a win in our books. 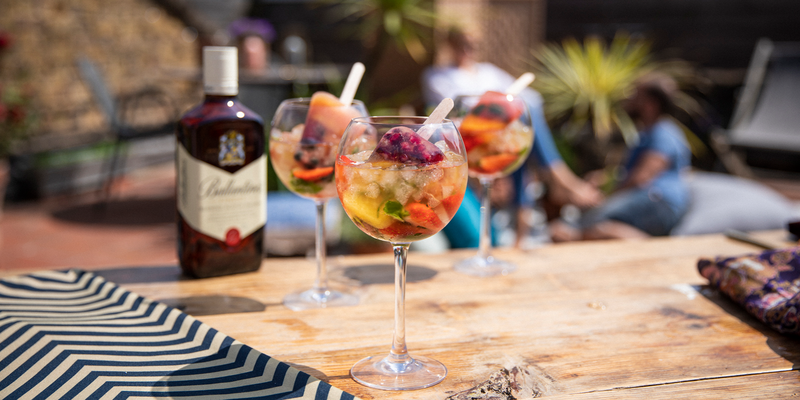 Fruity, boozy, icy and strictly for adults only. This is the ice cold treat your best summer self deserves. 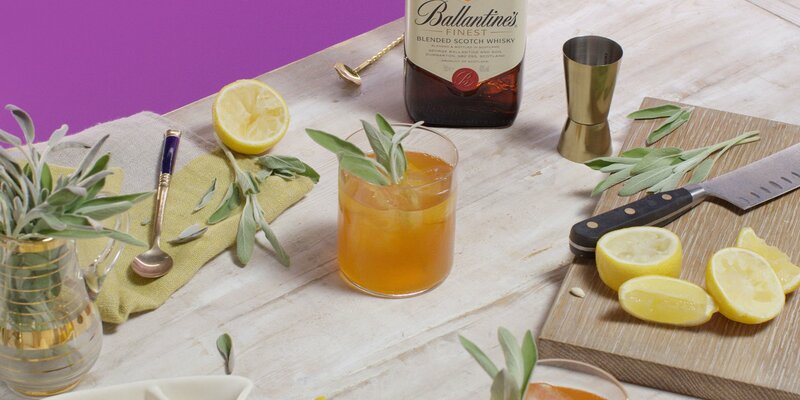 Step up your garnish game and send this Spritz (and your mates) straight to sunny seventh heaven. 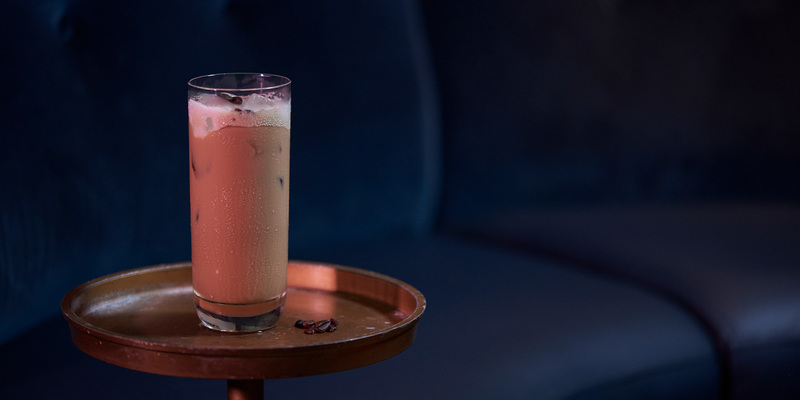 Meet the cool, laid-back cousin to the Espresso Martini. Simple to make but still gets you those sophisticated host points. Win. 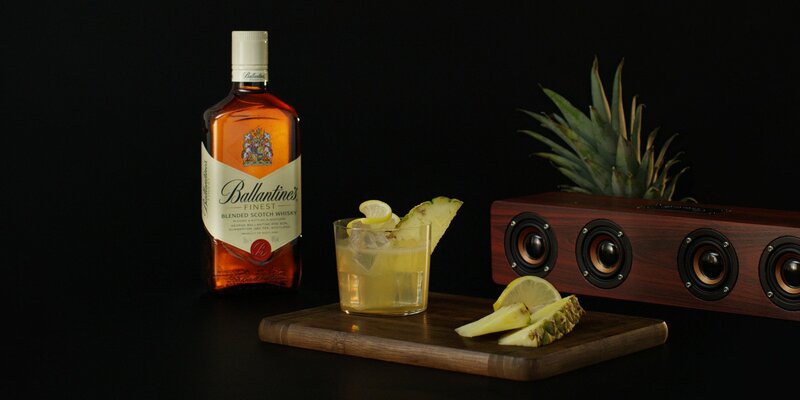 This fresh n’ fruity mix will transport you to the tropics. All the fun of the beach, without the sand. 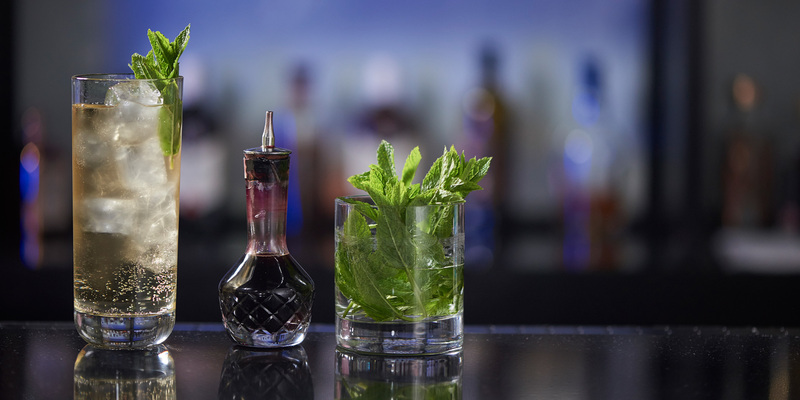 Hold the mint, this Mojito’s got a whole new vibe going on. It’s big on berries and even bigger on flavour. 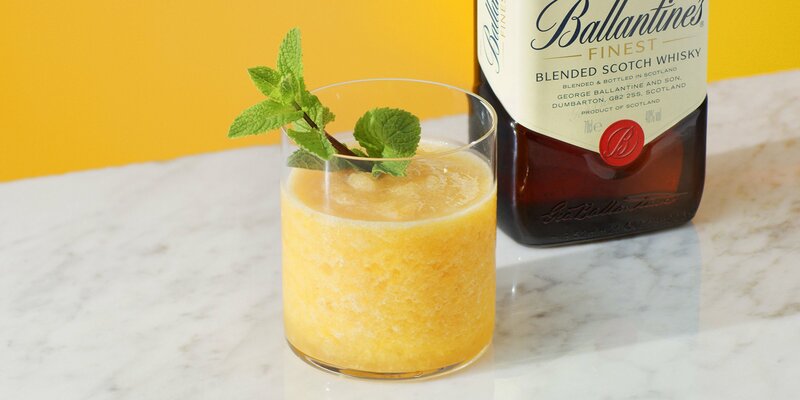 Shake up a seriously fresh cocktail that’s sharp and sweet all in one. Summer vibes, anytime of season. A quick and easy showstopper with a sweet, citrus edge. Golden. 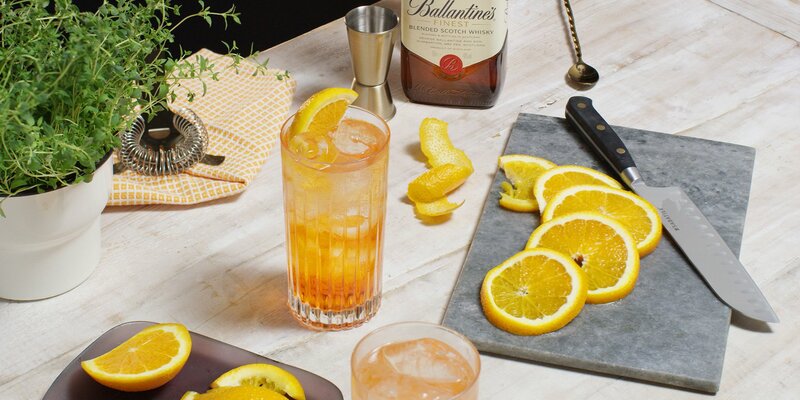 When you add whisky to summer’s hottest spritz, it’s a revolutionary moment that has to be shared. Grab your mates and mix it up. Cherry cola fans, it doesn’t get much better than this. Three of your favourite ingredients in slushie form. Chuck it in the blender and go. Easy to make and effortlessly cool. This ginger and peach combo will spice up any occasion. This is what we call a true brew. 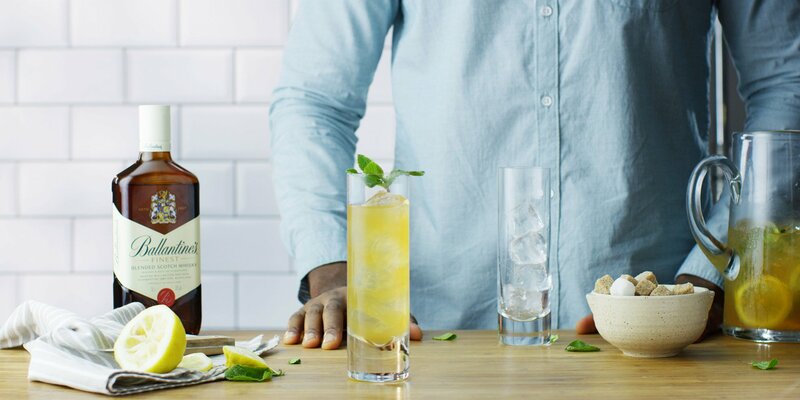 Refresh your guests with this iced tea cocktail that packs a minty punch. Fix up something sweet to cool you down. 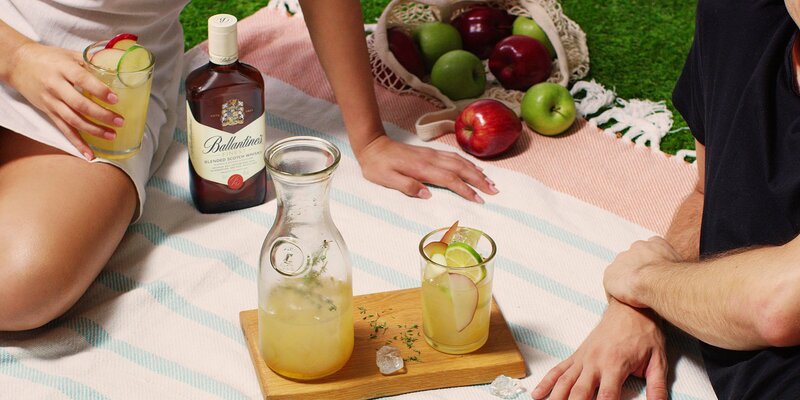 Classic summer flavours and a fresh twist that’ll take your hosting skills to the next level. 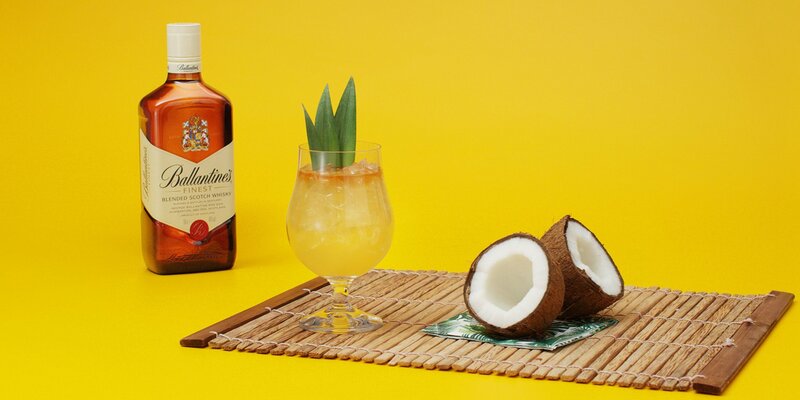 If you’ve got a bit of time on your hands, this cocktail is worth the wait. 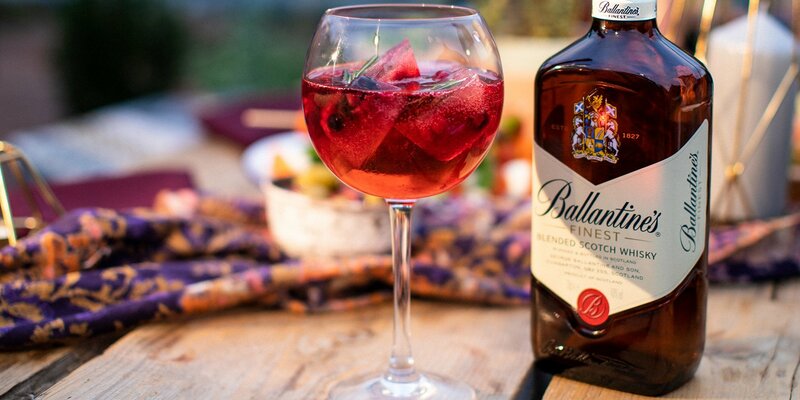 Fresh, fruity and al-fresco-ready.